Max Sr. & Paul Schoenwalder Plumbing Heating Air Conditioning has been in business since 1912. We provide excellent service that has kept so many loyal customers coming back time and time again. We want to become your choice for air conditioning services in Union, NJ and surrounding areas. Call us and see why so many people choose us for all of their home comfort needs! We are proud to install American Standard Heating & Air Conditioning Systems, but we service all makes and models—whether or not we installed your system originally. Whether it’s a routine maintenance visit, an emergency AC system repair, or a new AC installation, you can trust us to do the job the right way. Contact the team at Max Sr. & Paul Schoenwalder Plumbing Heating Air Conditioning today—we’re committed to excellence. Looking for a new air conditioning unit, but not sure where to start? Wondering whether we service the system you own? We are proud to install American Standard Heating & Air Conditioning systems, but they’re not the only systems we service. We can repair or maintain any make or model. Just call our team to schedule AC service or installation today! 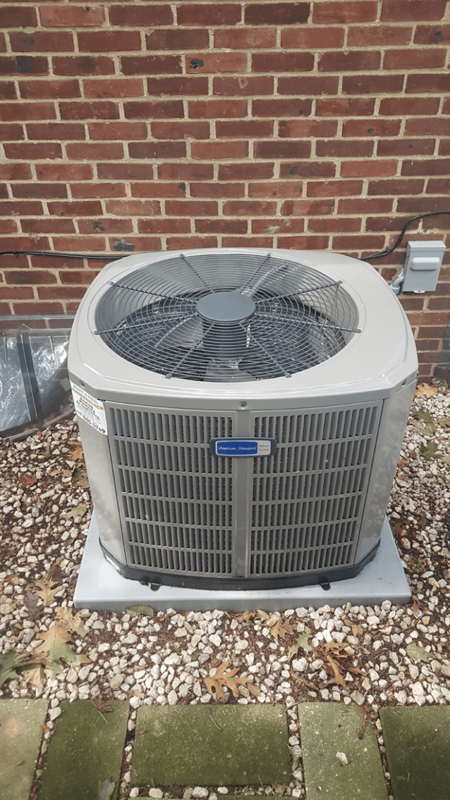 Central Air Conditioners – Conventional air conditioning systems effectively and efficiently cool an entire home when properly installed and sized. Let us help you find the right cooling system for your home. Heat Pumps – A heat pump is a heating and a cooling system in one! Using refrigeration, it can move heat into and out of a home. Call our team for more information. Ductless Systems – A ductless heating and cooling system can provide whole–home comfort without the need for major home renovation. We install ductless systems from Mitsubishi HVAC but service all models. High–Velocity Air Conditioning – Smaller air ducts and a high–velocity system make central AC possible for homes with space constraints. Packaged HVAC Units – A packaged HVAC unit has all of its components in one cabinet for convenient placement and ease of maintenance. Commercial HVAC Installation – We install and service all of the above systems and light commercial packaged HVAC units for businesses in the area. Call us for all of your air conditioning needs in Union, NJ. Air Conditioning Installation and Replacement – Get the system that’s the best fit for your home, your family, and your budget. 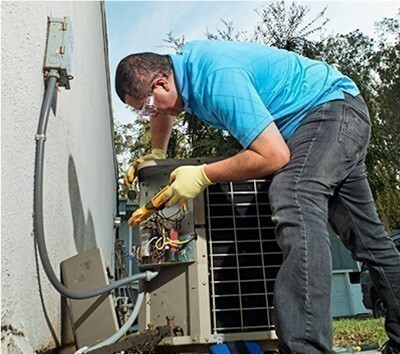 AC Repair – Refrigerant leaks, airflow issues, fan motor failure, etc., are no match for our expert team. We also offer emergency services. Routine AC Maintenance – Routine maintenance services help to keep your air conditioner working smoothly throughout the hot, humid summer. Annual service may prevent repair needs, lower your energy bills, and even extend the lifetime of your system. Duct Repair and Replacement – Often, problems with your cooling system start in the air ducts. Leaky or poorly designed ducts can reduce efficiency or overwork your AC and heating system. Indoor Air Quality Services – We also install and service indoor air quality systems, including air purifiers, air filtration equipment, and dehumidifiers for your comfort and health. Thermostats – A new programmable thermostat or Wi–Fi thermostat from Honeywell makes it convenient to use your AC system efficiently. We are a family–owned and operated business in Union, NJ. We’ve been in business since 1912 and can service all of your air conditioning needs. Call Max Sr. & Paul Schoenwalder Plumbing Heating Air Conditioning today.